That’s right, sitting is not the new smoking. You don’t get ugly sooty deposits on your backside when you sit all day. It does not cause lung cancer or throat cancer or skin cancer. Sitting does not mean you are looking forward to pulling an oxygen tank around with you for the last 10 years of your life. 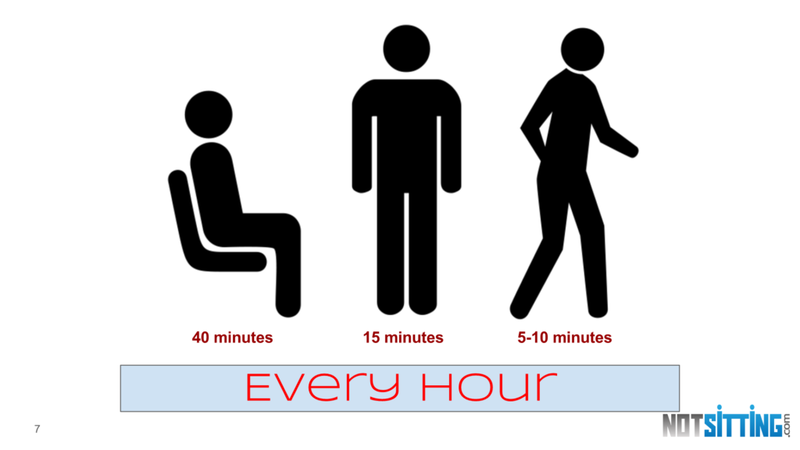 These are actually all things you would expect because your body needs less energy to keep going when you are sedentary. It isn’t any different than sitting on the couch reading a book… unless it is a scary one or sad one or, well, it is basically the same. Is Standing Better For You Than Sitting? No, actually it is worse. When you stand your core muscles and leg and feet muscles all do work to keep you upright. The problem is that all those muscles, joints, and ligaments involved wear down. 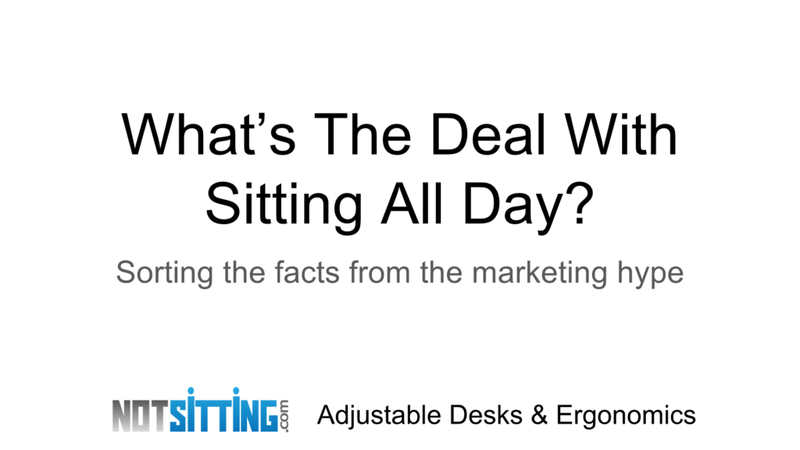 Standing all day takes a lot of getting used to and over a couple of few decades you’re looking at significant wear and tear on your body. When you stand you do get into the 3 or so calory per hour range. You also get more blood flow and good cholesterol since your muscles are using more energy… this is what they need. Is A Walking Desk Better Than A Standing Desk? No, there isn’t anything magic about walking while you work either. In fact, there are some really serious drawbacks to walking while you are trying to use a stationary keyboard. Yes, you are burning 4-5 calories per hour (and there is a lot of debate over the number. Yes, you are getting more blood flow and activity in your body than when you just stand. Yes, you are getting steps! Are you getting the picture? Walking at your desk isn’t the answer either. You need to seek some balance. Do this every hour and your body will go through more calories, it will refresh your brain, it will keep you thinking about new things because you’re going through new environments. It will keep you hydrated because you will visit the water cooler more. It will even make your coworkers like you better because you will take the time to say hi and find out what they’re doing more often.